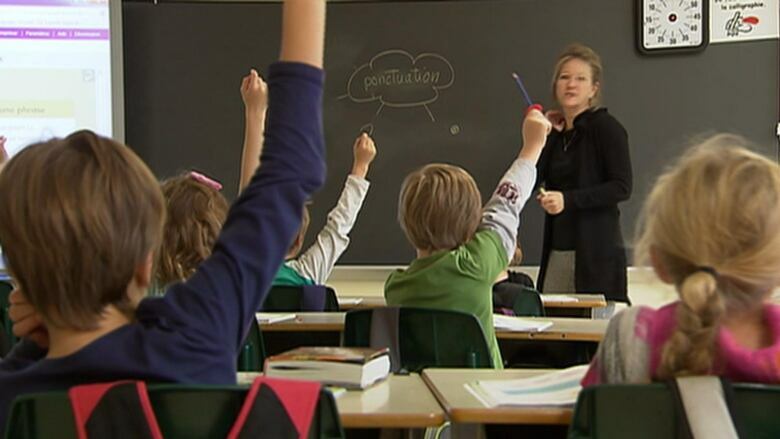 Quebec's English-language school boards plan to launch a court challenge of a bill tabled Friday which would abolish school board elections and give parents more control over school operations. Quebec's English-language school boards plan to launch a court challenge of Bill 86, the proposed legislation tabled Friday which would abolish school board elections and give parents more control over school operations. 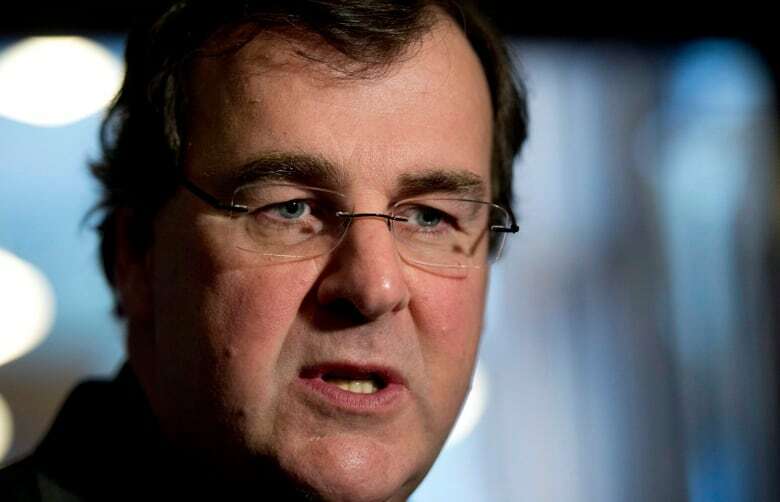 If the bill is passed – and Education Minister François Blais said he would like the legislation in place in time for the 2016-2017 school year – it would drastically alter the way school boards in Quebec are run. The proposed legislation would eliminate elected school commissioners. 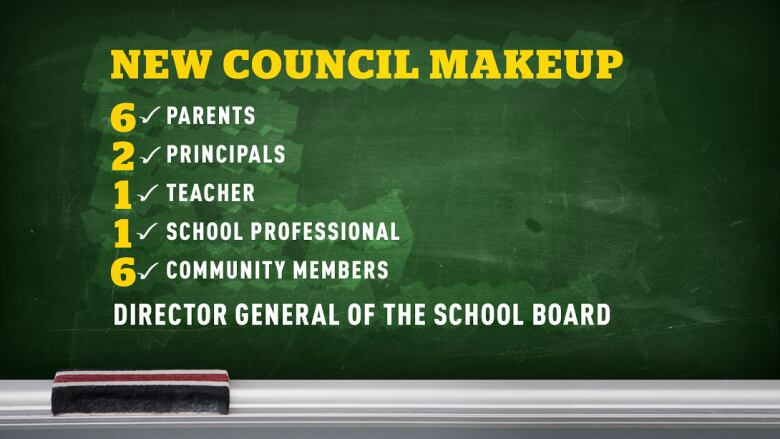 Each board's director general would also sit on the council, as a non-voting member. Boards would still be responsible for administering matters such as student bus transportation and educational services, but some decision-making powers would go to the schools' parents and teachers. School boards would also be strongly advised to merge services as a way to cut costs. Blais said the constitutional right of Quebec's anglophones to manage their own schools would not be jeopardized under the proposed system. "It's my responsibility to protect their rights," Blais said. However, Angela Mancini, who chairs the English Montreal School Board, said she and other members of the Quebec English School Boards Association (QESBA) disagree. "This is not a democratic process at all," Mancini said. "This is an abuse of power." "We have to be able to govern our own schools under the Charter, [under] article 23. And in order to do so, we must have the ability to choose who the members are that are going to be our representatives – and that has to be done through universal suffrage." Mancini said commissioners have the political clout to challenge the government on their budget allocation and policy issues, by virtue of having been elected by local taxpayers. The bill aims, as its name suggests, to give "schools a greater say in decision-making and ensure parents' presence within each school board's decision-making body." However, Mancini said there is already a high level of parental involvement on English-language boards. "They're on governing boards already. They're on [the] central parents' committee – and on our boards." She said parent representatives do not have the right to vote on school board policies under the existing system, however, QESBA supports giving them that right. Suanne Stein Day, chair of the Lester B. Pearson board, said parents in her school board would likely welcome more control. "Frankly, in my school board I don't think it would be a problem finding parents who are willing to serve on council and have the vote," she told CBC before the bill was tabled on Friday. However, she said on the French side that may be more difficult. 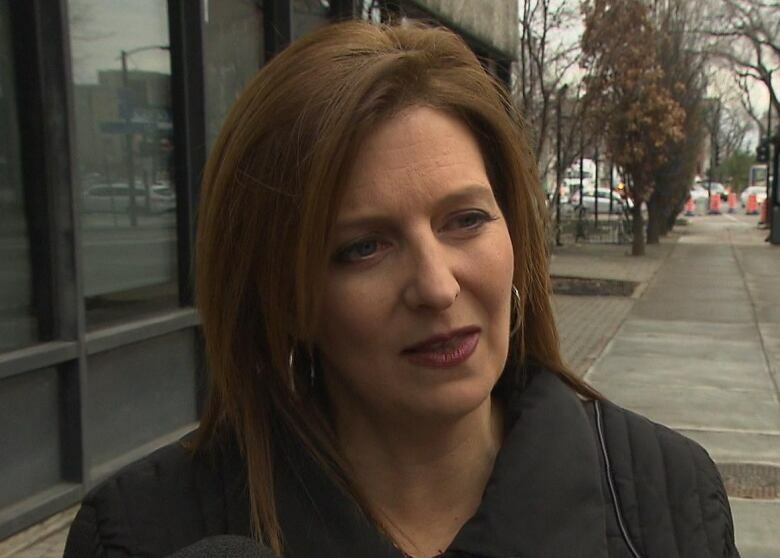 Catherine Harel Bourdon, the head of Montreal's French-language school board, said it's unfortunate the bill is being tabled at the tail end of the session, and she hopes that doesn't stifle discussion on such an important issue. "I find it a little disappointing," she said. Premier Philippe Couillard said Thursday reforming school boards is a delicate issue. But he said the province needs to change the way its school boards operate. "Quebec's education system has many qualities, but we must go further, especially when it comes to giving more autonomy to schools, giving more space to parents, to teachers and I think that's the direction we're going in," Couillard said. Read the full bill below, entitled "An Act to modify the organization and governance of school boards to give schools a greater say in decision-making and ensure parents' presence within each school board's decision-making body."